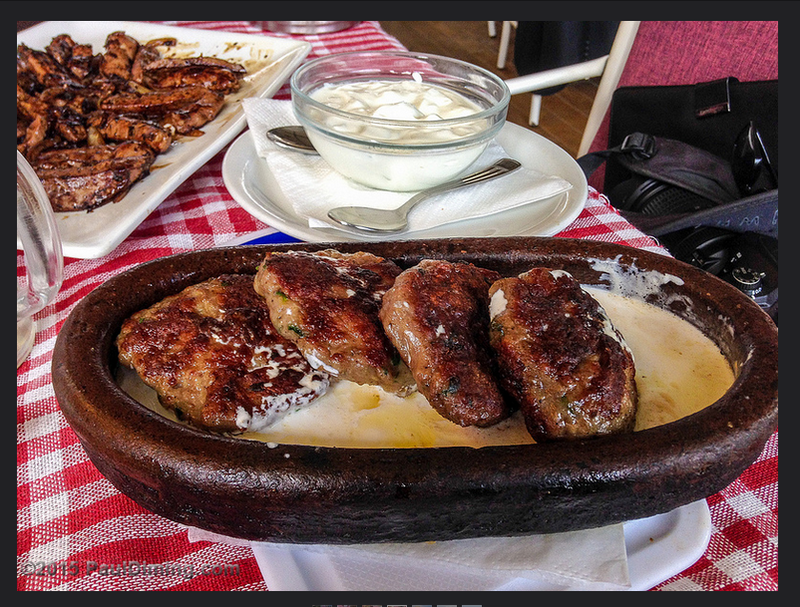 Since ethnic Albanians make up 94% of Kosovo's population, the cuisine of Kosovo is very similar to Albanian cuisine. The cuisine features lots of fresh produce, beef, lamb and chicken. Seasoning is typically flavorful, but not spicy. The bread is fresh baked. Yogurt and yogurt based sauces are common. We stayed at neighborhood restaurant, Te Pini in Prishtina. It features a relaxing cafe atmosphere with outdoor dining, typical of Prishtina. Here is one of the special food: Qofte Prizreni - (Beef & Lamb) with Yogurt. Yes, Kosovo uses the Euro! That makes it really easy to travel to Kosovo. Walking in Pristina after a long flight really does help reduce the effects of jet lag. So we headed downtown to see the sights. The first building we saw was the Yugoslavia era National Library of Kosovo. It was designed by Croatian architect Andrija Mutnjakovic and dedicated in November, 1982. During 1990's, the building was used to house refugees from Croatia and Bosnia. Unfortunately, there are many grand buildings in Prishtina that are languishing due to lack of funding.